Description: The Bluebit .NET Matrix Library provides classes for object-oriented linear algebra in the .NET platform. It can be used to solve systems of simultaneous linear equations, least-squares solutions of linear systems of equations, eigenvalues and eigenvectors problems, and singular value problems. Also provided are the associated matrix factorizations such as Eigen, LQ, LU, Cholesky, QR, SVD. Both real and complex matrices are supported. 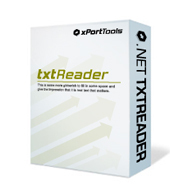 Description: .NET txtReader for Text Files is a set of classes, specifically designed to read text files and load the data into ADO.NET DataTable/DataSet from .NET applications . The latest version of the component is implemented as a .NET Managed Provider with read-only capabilities which allow it to treat each text file in a folder as a table with the data and read data from character-delimted or fixed columns text files. 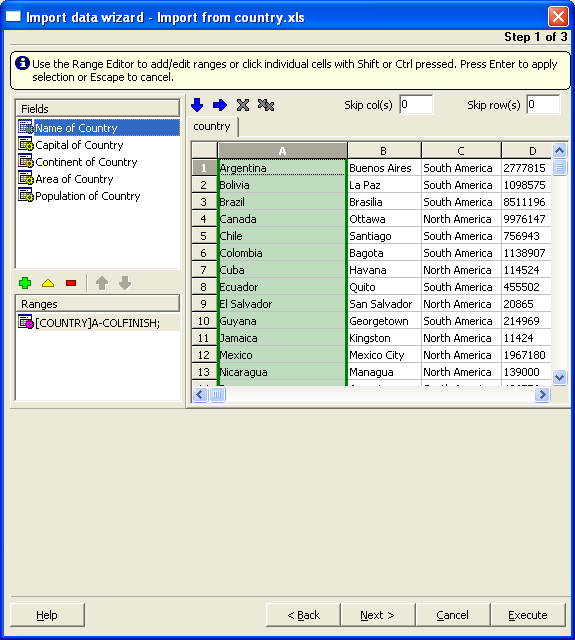 Description: Compare Access Databases with AccessDiff. AccessDiff compares objects with the same name between two databases. It also detects missing objects in either the source or destination. Records are compared by the primary key. The differences can be printed out in a report or exported to Excel. AccessDiff compares forms, reports, macros, code modules, queries, tables and records. Download a free trial today. Description: Active Query Builder is a powerful .NET component to build complex SQL queries with ease. Active Query Builder is a perfect choice for both SQL beginners and experienced query writers. It renders all SQL features, such as sub-queries and unions, very easy to accomplish and provides the professional user with everything he or she needs to efficiently work with SQL queries; it is sure to increase the number of potential users of your product. Description: Advanced Data Import Component Suite for Borland Delphi and C++ Builder will allow you to import your data to the database from files in the most popular data formats. You can import data from MS Excel, MS Access, DBF, XML, TXT and CSV. There will be no need to waste your time on tiresome data conversion - Advanced Data Import will do the task quickly, irrespective of the source data format. Description: Advanced WiFi-Manager is a developer tool that allows you to manage wireless networks and settings in Windows 2000, 2003, XP and Vista using one set of API functions. Also Advanced WiFi-Manager provides a COM interface for all API functions so you can simply control WiFi settings from VB or such .NET languages as VB.NET or C#. Description: Alvas.Audio allows C# and VB.Net developers to create applications that play, record, edit and convert sound. Key Features: record/play uncompressed and compressed audio data; play mixed audio data; record/play data to/from the stream; set up mixer controls; get the current sound position; convert the audio data; view the level of the input sound signal. Encode and decode Dialogic .vox (adpcm) format data. Description: Append PDF software automates the process of appending multiple PDF files, you can append an existing pdf file to another file or a list of files, the result file is optimized for space, PDF Size optimization is over 50% better than appending files in Acrobat and using other tools that use Acrobat to append, Append PDF also retains file version information. In our tests the appending speed is up to 70 times quicker than Acrobat 7 append + save! Description: A Single DLL ASP.NET Control will do everything for you if you want to develop an e-commerce web application with PayPal Website Payments Standard. Strong OOP Interface for PayPal Buy Now, Donation, Shopping Cart, Subscription, IPN & PDT. Enhanced Design Time GUI. Generates Encrypted Website Payment Buttons on the fly. IPN & PDT is considered as server side events where all IPN & PDT variables are available as Event Argument Class properties.